Our company is founded on a strong Polar expedition background and we are pleased to offer select adventures to Antarctica and the Arctic. Our small team of guides brings significant polar expedition skills from past South Pole, North Pole, and Greenland expeditions. 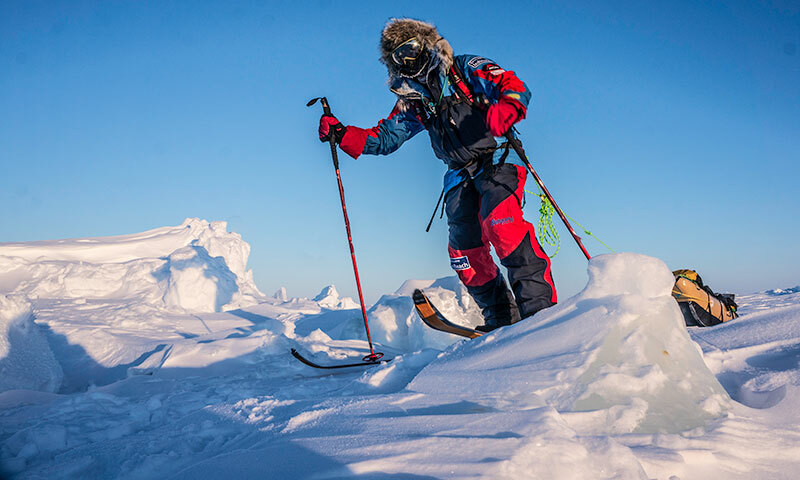 We have a true passion for adventures on the ice and enjoy sharing these unique experiences with others. If you have an interest in Antarctica or have dreamed of skiing to the South Pole someday…, please contact us to find out how together we can make it happen. To learn more about gaining the necessary skills for polar travel, we offer custom polar ski training.